Keep your kids safe with the Car Seat That Keeps Up As They Grow. 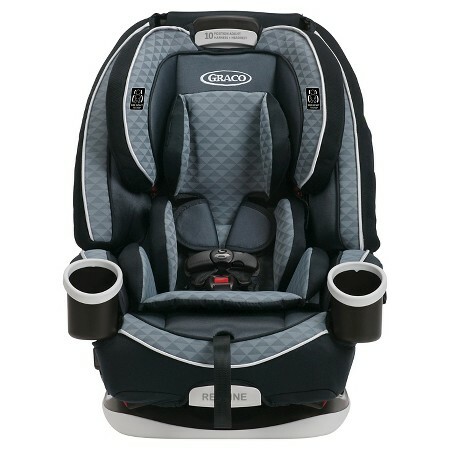 The Graco 4-in-1 seat grows with your child, so you can enjoy 10 years of use, from 4 - 120 lb. The car seat’s first mode is rear-facing, transitions to a forward facing harness booster, then to a high back booster, and finally, a backless belt-positioning booster. This 4-in-1 Car Seat features SafeSeat Engineering, is easy to install, and will keep your kids comfortable during all your travels. This holiday season, Save $75 on the 4Ever 4-in-1 Car Seat, at your local Target store (11/27 - 12/3). Find out more about the car seat, what other users have to say and the different models available at Target here.